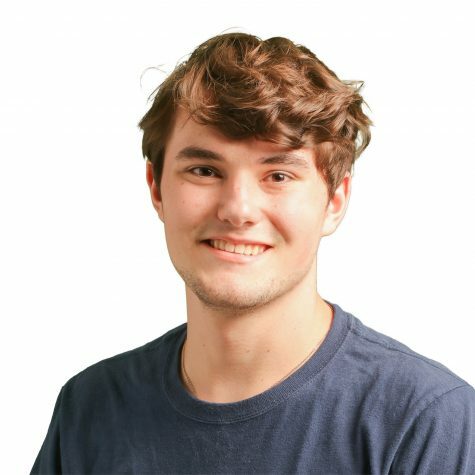 Second-year staff writer Connor Powell is a fan of cooking pasta, swimming in random Arkansas creeks, and watching “How to Get Away with Murder.” He holds many titles: actor, chef, and all around talented dude — the only thing he lacks is a driver's license. His best friend, Molly, is the most important person in the world to him, and the pair enjoy enthralling activities, such as watching all the “Pirates of the Caribbean” movies back to back and trying to pay for full meals at Cici’s with just a few coins. The latter of these never ends well. He fears birds and tickles, and the presence of either of these things will send him into a screaming state of panic. All things considered, Connor is just trying his best.